Sunny Valley International respects the privacy of every individual who visits our web site. This privacy statement covers the site at www.sunnyint.com and outlines the information that Sunny Valley International may collect and how we will use that information. Sunny Valley International reserves the right to change this privacy statement at any time by posting a new privacy statement at this location. Therefore, you are responsible for periodically checking the privacy statement for changes. Sunny Valley International will not collect any personally identifiable information about you – such as your name, address, telephone number or e-mail address – unless you provide it to us voluntarily and approve its use. If you do not want your personally identifiable information collected, please do not submit it to us. When you do provide us with personally identifiable information, we may use that information to better understand your needs and how we can improve our products and services. We may also use that information to contact you, for example, to answer a question or respond to a comment you have submitted. However, we will not provide your information to third parties without your consent, except as required by law as explained in the “Information Sharing” section below. In some cases, we may collect information that is not personally identifiable. Examples of this type of information include the type of Internet browser or computer operating system you use, the date and time you visited our site, the pages you accessed, and the name of the web site from which you linked to our site. We use this information to analyze trends and gather broad demographic information for aggregate use. This information is not linked to any personally identifiable information. Sunny Valley International may use “cookies” – pieces of data stored on your computer tied to information about you – on the www.sunnyint.com Web site. This information will be in the form of a cookie or similar file and will help us enhance your web experience by saving time on the site. With most Internet browsers, you can erase cookies from your computer hard drive, block all cookies or receive a warning before a cookie is stored. Please refer to your browser instructions or “help” screen to learn more about these functions. Though we make every effort to preserve user privacy, we may need to disclose information when required by law wherein we have a good-faith belief that such action is necessary to comply with a current judicial proceeding, a court order or legal process served on our web site. We may disclose personal information to third parties we engage to provide services that involve data processing on our behalf. Also, if some or all of the assets of Sunny Valley International are sold to a third party, such third party will be entitled to use the personal information disclosed by users of this web site, but only in accordance with the terms of this privacy statement. This site has security measures in place to protect against the loss, misuse and alteration of the information under our control. However, it is not possible to guarantee the security or integrity of information you disclose online since a sufficiently powerful attack from an unauthorized third party could compromise your data. This web site contains links to other sites. 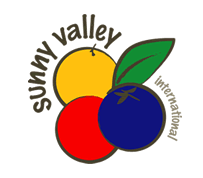 Please be aware that Sunny Valley International Brands International is not responsible for the privacy practices of other sites. We encourage you to be aware when you leave our site and to read the privacy statements of every web site that collects personally identifiable information. This privacy statement applies solely to information collected by this web site.